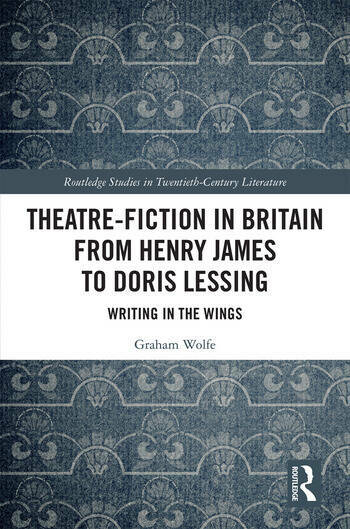 This volume posits and explores an intermedial genre called theatre-fiction, understood in its broadest sense as referring to novels and stories that engage in concrete and sustained ways with theatre. Though theatre has made star appearances in dozens of literary fictions, including many by modern history’s most influential authors, no full-length study has dedicated itself specifically to theatre-fiction—in fact there has not even been a recognized name for the phenomenon. Focusing on Britain, where most of the world’s theatre-novels have been produced, and commencing in the late-nineteenth century, when theatre increasingly took on major roles in novels, Theatre-Fiction in Britain argues for the benefits of considering these works in relation to each other, to a history of development, and to the theatre of their time. New modes of intermedial analysis are modelled through close studies of Henry James, Somerset Maugham, Virginia Woolf, J. B. Priestley, Ngaio Marsh, Angela Carter, and Doris Lessing, all of whom were deeply involved in the theatre-world as playwrights, directors, reviewers, and theorists. Drawing as much on theatre scholarship as on literary theory, Theatre-Fiction in Britain presents theatre-fiction as one of the past century’s most vital means of exploring, reconsidering, and bringing forth theatre’s potentials. Graham Wolfe holds a PhD in Drama from the University of Toronto and is an Assistant Professor in English Language and Literature at the National University of Singapore. His articles on theatre, novels, and popular culture have appeared in journals including Performance Research, Mosaic, Modern Drama, Dickens Quarterly, and Journal of Dramatic Theory and Criticism.